Camp starts August 25th and ends August 30th in Oliver B.C and is designed for players born in ’03 or earlier and will be played on a full-size diamond. The camp gives players the opportunity to showcase their abilities to MLB scouts and college coaches/recruiters over the full week. 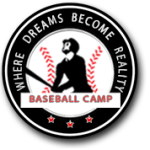 The camp will include the opportunity for players to work directly with guest coaches/instructors that have played in the Big Leagues, are presently scouting for an MLB team or affiliated with college baseball. Ran simultaneously with the PROSPECTS camp, SHOWCASE players will be role models for the younger players and will not lose any opportunities to be seen by the scouts, coaches and recruiters.